If you aren’t drinking rosé this summer then what’s wrong with you? 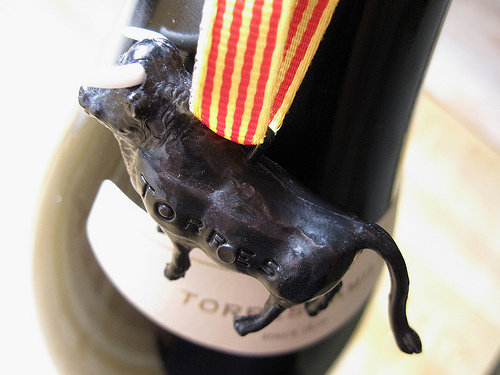 We had another Torres wine last night – Sangre de Toro which translates as “Blood of the Bull”. It tasted better than that. Made with both Garnacha and Cariñena grapes it was $7 here in the US of A. It’s $12 in Ontario but it’s a decent wine at that price too. The blend of these two grapes make for an easy drinking wine typical of Spanish wines that not made with Tempranillo. What I really liked is their web page which is full of detailed information about the wines without the splashy superfluous stuff. Click for the Sangre de Toro webpage. I really wish that you could find out this much info about all the wines you buy. What my tree-hugging, carbon footprint neutralizing, Guelph neo-hippie friends will love is that Torres is committed to minimizing their negative effect on the environment. “There’s no such thing as a good wine that does not respect nature” – Miguel Torres. Okay, maybe the other reason I bought it was to get the cute little bull figurine that comes with the bottle. I’ve attached it to my key chain so that it can poke me in the thigh when I put them in my pocket. 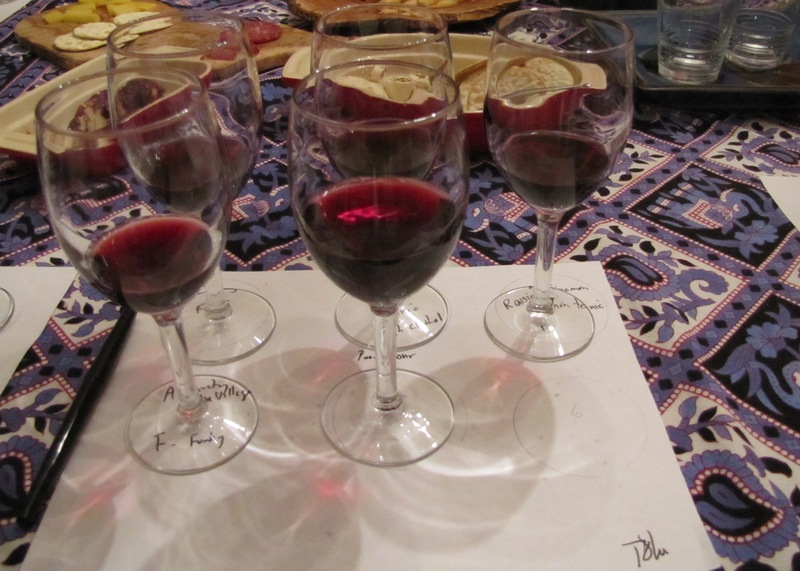 Hosting a blind wine tasting party is fun – this year I c0-hosted at D&E’s house. The rules were simple. Bring a bottle of red (under $20) wrapped in newspaper (the “blind” part) – we taste them all and then vote on our favorite. Eleven of us showed up and 6 wines were poured. Some of the more competitive people took the tasting to another level by trying to pick out their own wine and identify varietals and regions – but mostly it was a good laugh had by all. The competitors were Gnarly Head Zin & Ravenswood Zin (California), Gran Fuedo reserva (Spain, Navarra) , Casa Concha Cab Sav (Chile), Oyster Bay Merlot (NZ) and Lighthouse Cab Franc (Pelee Isl). 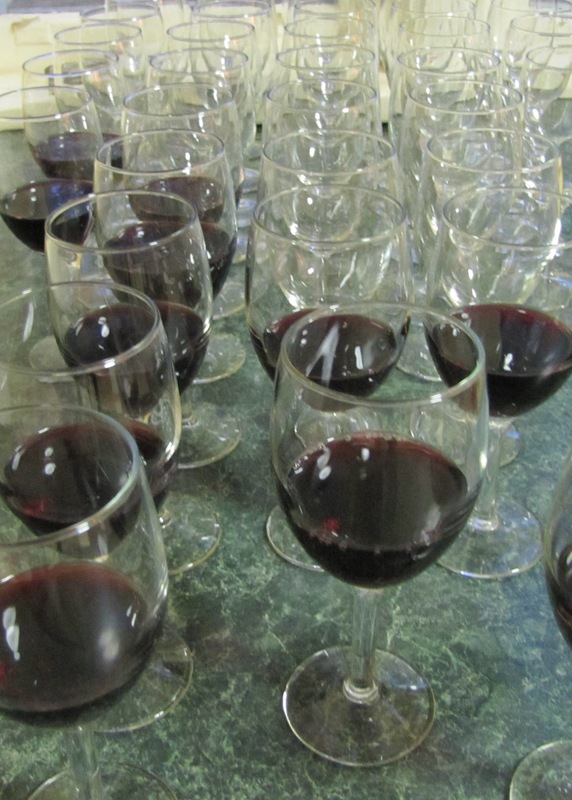 I was having so much fun pouring the wine that I forgot to guess which wine was mine. Turns out that I ranked my Ravenswood last – but it did garner a first place vote and three second place votes. For the silver medal the Gnarly Head 2009 Zinfandel narrowly edged out the Gran Fuedo 2005 Temranillo even though each received three first place votes. 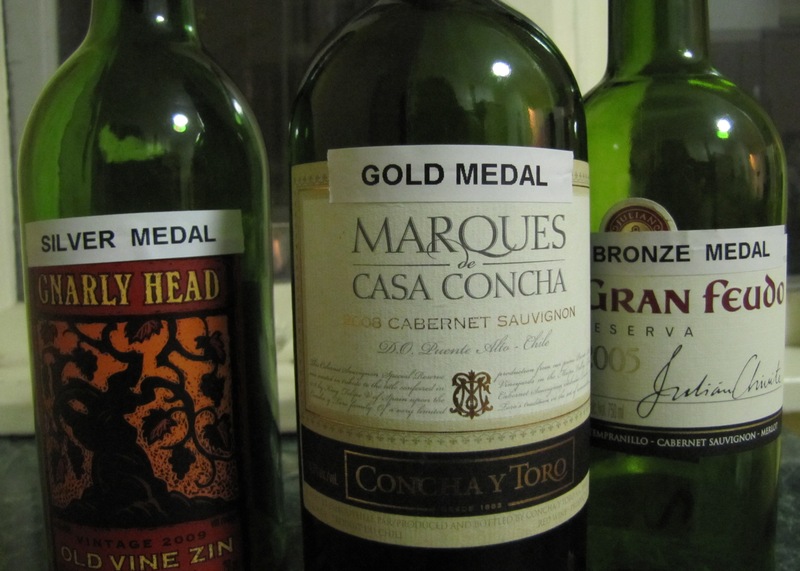 The winner was the Marques de Casa Concha 2008 Cabernet Sauvignon from Chile – which was too bad because the 2nd most competitive person at the party brought it and then lorded it over me for the rest of the evening. New Stuff at the LCBO? I was walking around the LCBO realizing that there are a number of new wines on the shelves. 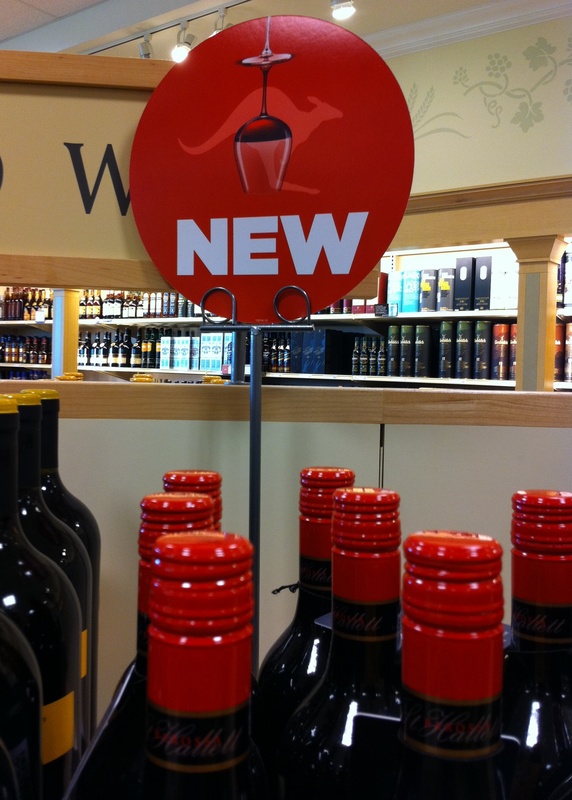 “Why don’t they mark the new wines better” I thought to myself when I looked up to see this. You win this round LCBO! It was Don Cherry who said, “You’ve got to try stuff”. I took Don Cherry’s advice and tried a German Sekt. I reasoned that since Mosel (Germany) is only 220 kms from Reims (France – the birthplace of Champagne) that it was a safe bet. Also following Don Cherry’s advice on a hockey related matter and applying it to wine seemed like a good idea. 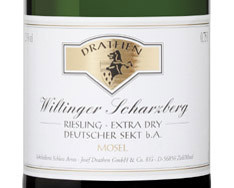 This was my first German Sparkler – a Riesling Extra Dry – or Deutcher Sekt b.A. if you prefer to speak German. Just released in the Vintages section of the LCBO it is very good and at $13 a nice price. Pale straw colour with aromas of grapefruit/citrus . Quite dry and fresh with fruit around the acids. Not a bad performance for my first German sparkler. I have several thoughts on the matter. 1. I have been searching for ways to counteract the negative effects of spaceflight for weeks now and never thought of Red Wine as a possible solution. 3. I can’t believe that there is enough “science stuff” to warrant a Science Daily. 4. Some weeks I get three Canadian Tire flyers and offers for 8 credit cards in the mail and I can’t believe I’ve never received an offer to subscribe to Science Daily. The full article is copied here. Red Wine: Exercise in a Bottle? ScienceDaily (July 3, 2011) — As strange as it sounds, a new research study published in the FASEB Journal, suggests that the “healthy” ingredient in red wine, resveratrol, may prevent the negative effects that spaceflight and sedentary lifestyles have on people. The report describes experiments in rats that simulated the weightlessness of spaceflight, during which the group fed resveratrol did not develop insulin resistance or a loss of bone mineral density, as did those who were not fed resveratrol. Scientists studied rats that underwent simulated weightlessness by hindlimb tail suspension and were given a daily oral load of resveratrol. The control group showed a decrease in soleus muscle mass and strength, the development of insulin resistance, and a loss of bone mineral density and resistance to breakage. The group receiving resveratrol showed none of these complications. Study results further demonstrated some of the underlying mechanisms by which resveratrol acts to prevent the wasting adaptations to disuse-induced mechanical unloading. This study also suggests that resveratrol may be able to prevent the deleterious consequences of sedentary behaviors in humans. The term “Craft Wines” reminds me of my camp days. Crafts were a cheap substitute for art and usually involved popsicle sticks, glue, and elbow macaroni. Call that “Art” and the entire Boho community lobbies and shuts down your blog. Travis doesn’t need that. 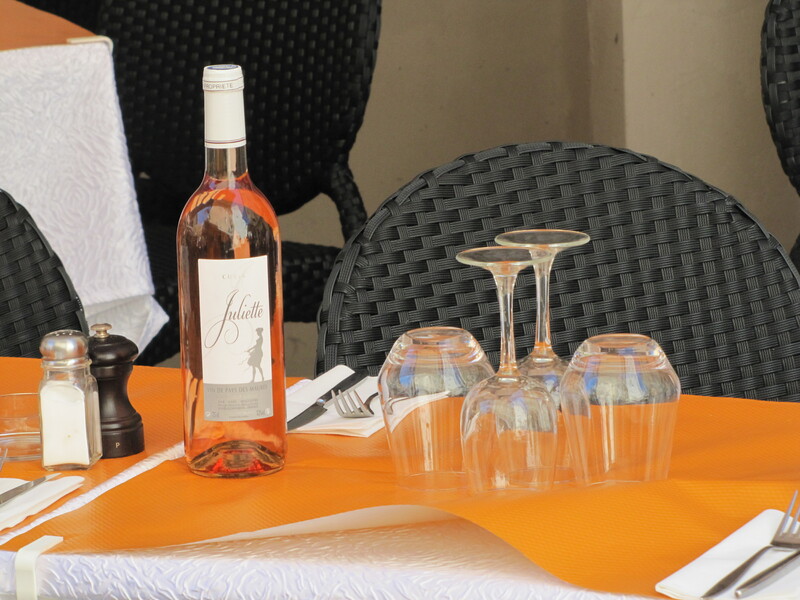 However, Craft Wines are truly art – arguably more so than big name wines. 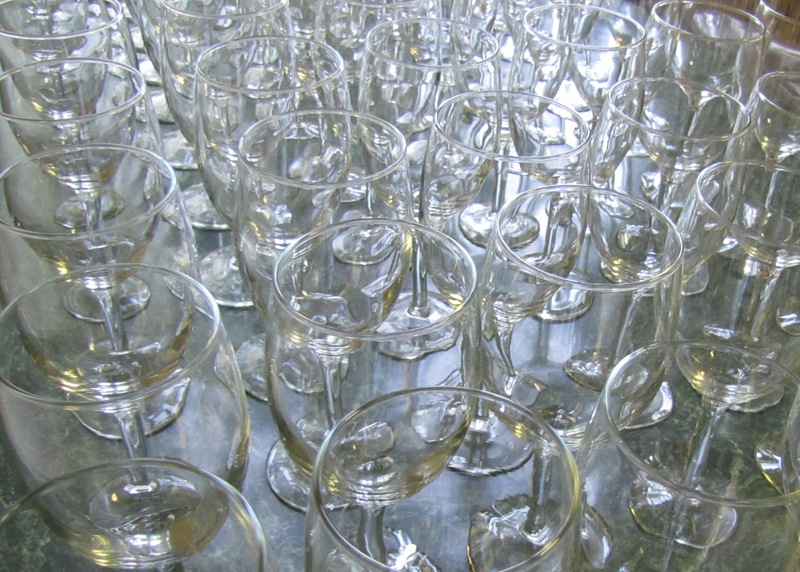 The winemaker at a craft winery has less volume to work with but often fewer restrictions on their creativity. The craft winemaker is truly an artist. I met one such artist on Saturday at a Craft Wine Fair in my local LCBO. Jim Warren – Stoney Ridge Winery is what his golf shirt said. Like most artists he was understated in his mannerisms. It wasn’t until his explanation that Charlotte’s Unoaked Chardonnay was named after his wife that I asked him if he was maybe the owner or winemaker or something – since it’s not often that a salesman gets to name a wine. Founder and winemaker for over 25 years to be exact! Perhaps our instant connection came from the fact that he was a former school teacher (I discovered that on the internet without the use of Wikipedia). A former high school teacher turned winemaker? I think I know what I’m going to do when I grow up. Canada | Stoney Ridge Cellars Ltd.